This is NOT a vacation I am on. This is hard work from 9 o'clock in the morning til at least 15.00 in the afternoon, 6 days a week. After several days painting different garments and also the open book, our teacher thought we might be ready to paint a face. It takes much practice. I cannot wait until tomorrow where we will continue. 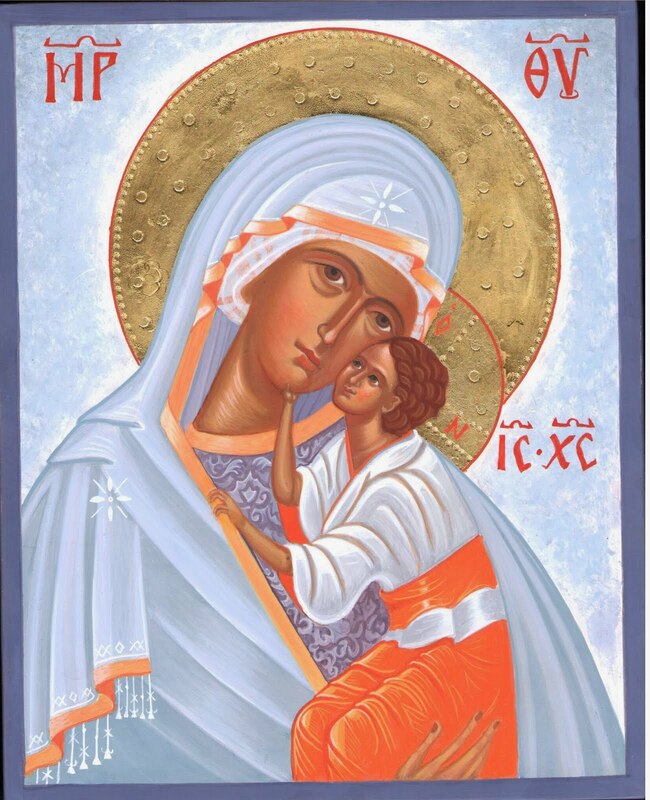 This is not just another ordinary course in iconpainting. 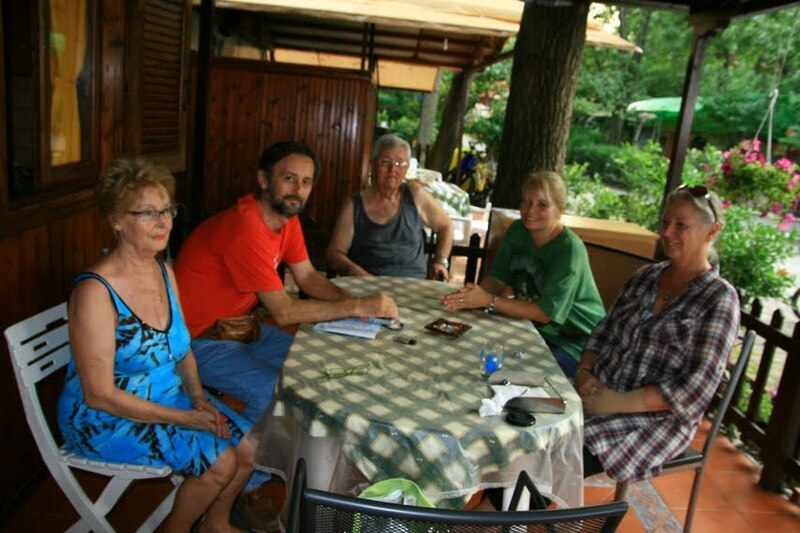 When the course was finished yesterday, Theodore and his wife had invited us (Violeta and me) for an excursion. We headed towards the north of Larissa, and our first stop was in a valley, where the river comes from the plains of Larissa and is passing the mountainous area on its way to the ocean. Here - on the other side of the suspension bridge is the well of Daphne, with wonderfully clear and clean water. Just like in Norway! They prepared the most delicious grilled dinner for us. (the father at the grill), they are so very friendly. Interesting it was to listen to Theodore's father tell stories from his own childhood, and his fathers' childhod, stories about fleeing from hostile invaders of their country, bulgarians, turks and germans, and about living as refugees in Jerusalem for years.This is where he learnt to speak english so well, attending an english school for 6 years. Amazing stories.Thank you mr. Papadopoulos! At 8 in the evening we left for mount Olympos, to visit the small village Panteleimon. I could hear some music as we entered the village - a girl playing the song "I am on the top of the world" - that is what we were! This is the favourite place of Theodore and his wife. And that I can understand. It looked like a village from a fairytale. So, this is where our day ended - in a nice restaurant with a panoramic view of Olympos on one side, and Thessaloniki in the far distance , the lights from the ancient castle and - the sea.